5 Comments on "Why Are There So Many Cancers Now?" Let me help sum up this long article. Chemtrails, vaccines, fluoride, radiation and who knows what else. 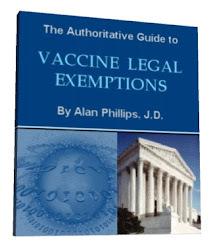 All the aplhpa bets cdc/fda/ama and any others who have approved this science are complicit. They spread only disease. By masking the original problem and attacking other organs. vaccines are bogus, Moms stop vaccinating you are giving your child disease. GMO is bogus and should be outlawed. 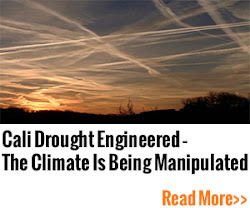 The high altitude aerial spraying is more sickness coupled with the 5g for cooking our cells. Chemotherapy which destroys the immune system at a time when it should be strengthened. The earth is being slowly poisoned as is the entire plant animal eco system. Perhaps a silent war has been declared on the common horde. Let me sum up this article. As long as we allow legalized currency counterfeiting, we can always heretofore expect: Chemtrails, vaccines, flouride, radiation and who knows what else… ALL DELIVERED BY DRONES…. right to your front porch. All of what Frompovich listed is correct. But… regrettably, she completely fails to mention the impact from medical x-rays which is epic. The real truth is that it had been known to medical science for decades that low dose (even the lowest possible dose) x-rays cause cancer, especially breast cancer (read “Preventing Breast Cancer: The Story Of A Major, Proven, Preventable Cause Of This Disease” by John Gofman and “The Mammogram Myth” by Rolf Hefti), but the business of organized medicine has been disregarding, denying, downplaying, and obfuscating this scientific fact ever since. This criminality is also the reason why despite the full knowledge of this ugly fact, the corrupt medical profession has been using low dose x-rays much more often over the last two decades, contributing to the increased cancer incidence (see The Mammogram Myth). “Why Are There So Many Cancers Now?” Because it is part of the Eugenics/ depopulation agenda. Not only are many of them engineered in the lab but the environmental sources of them are expanding, exactly as intended. They don’t want to merely kill you off they want to take every dime you have before they do. What better way to do the latter than through modern healthcare?